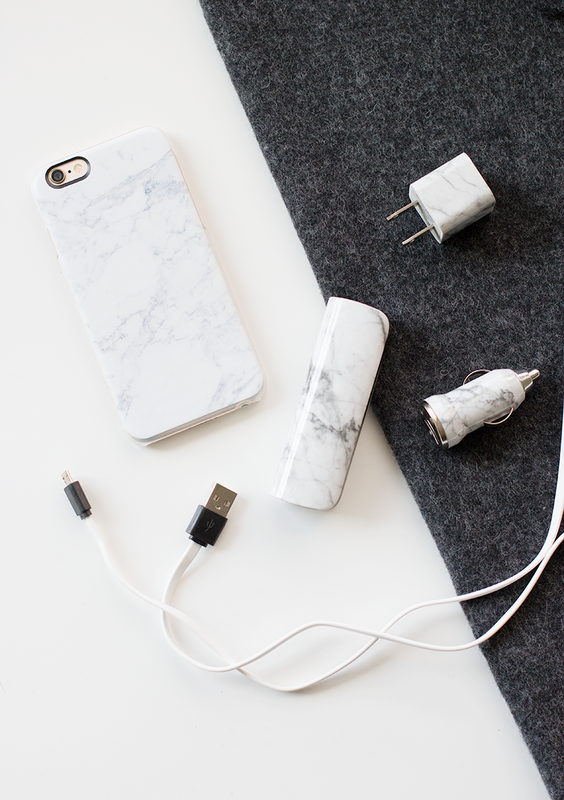 It's no secret that marble is so hot right now (sorry, I just watched both Zoolander movies this past weekend and have that in my head), so why should tech accessories be any different from everything else the trend has enveloped? Exactly. And since I'm fully decked out in that department, I thought it would be fun to share a few of the goodies I turn to on a daily basis with you guys — bring on the marble! When it comes to keeping my phone nice and protected, my trusty marble phone case is as practical as it is chic, so I'm basically obsessed with it. It also happens to make for a great photo prop, but let's just chalk that up as a happy accident (*cough*). 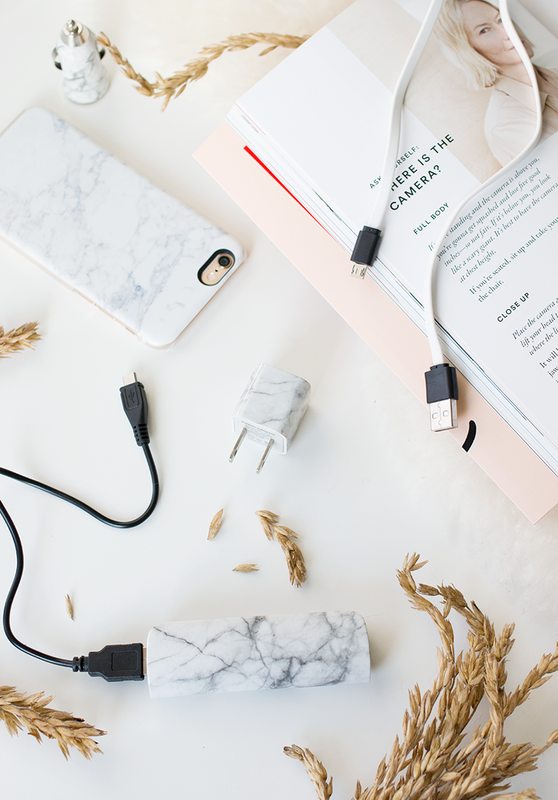 Similarly, my charging setup has become a complete dream thanks to the various charger packs and power banks available on Ankit, and the fact that they all happen to come in marble print, well, that's just the icing on the cake. 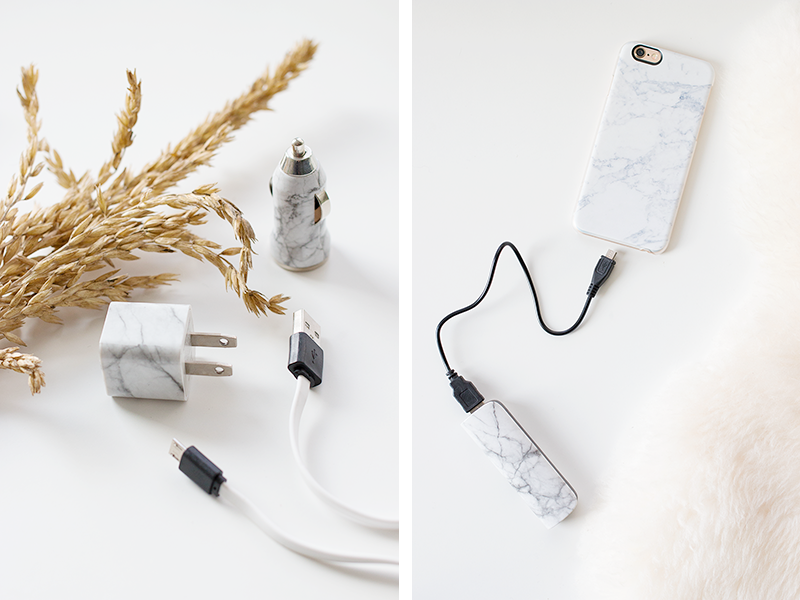 All these little bits help me reliably charge my phone on-the-go while remaining the consistency of the little marble theme I have going on, so basically my priorities are totally in check here (wink wink).